It’s funny how some of the simplest pleasures in life become the ones we embrace the most. 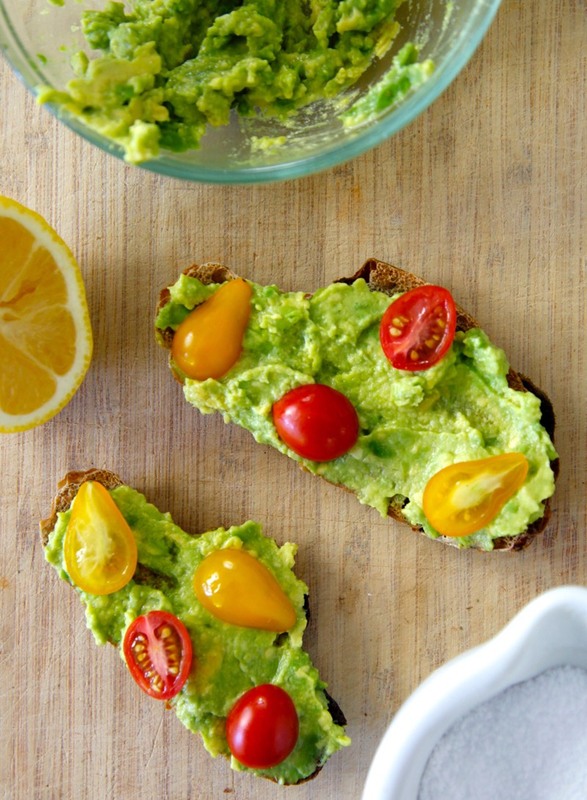 Over the past months we have been making avocado toast at least twice a week, sometimes more. It’s the perfect breakfast, lunch, snack or even light dinner to fill your belly it’s when grumbling away. On the weekends when we would rather be doing an art project or play a board game then be in the kitchen I’ve been toasting up tons of olive bread purchased from our favorite bread vendor at the farmers market, mash tons of ripe avocado with a touch of salt and lime juice (preventing the avocado from browning) and top with a few sweet halved cherry tomatoes. Not only is the end result filled with eye appeal from all of the colors and textures, but it only take minutes to prepare. 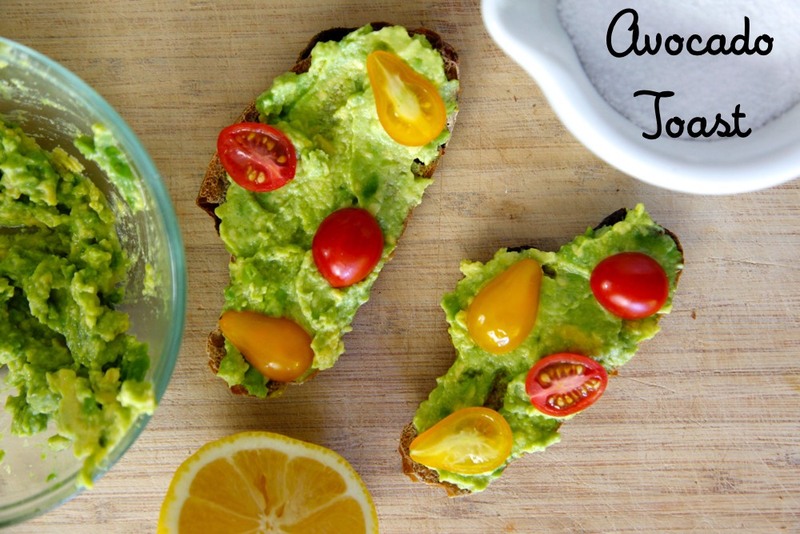 I would try to get your hands on a few ripe avocados for this recipe as I guarantee everyone will be asking for seconds and even thirds! 1. In a small bowl mash together avocado, lemon juice and salt. 2. Spread over toast and top with optional accompaniments. I love avocado and egg on toast for breakfast. Your comments say you add lime juice to prevent browning but the recipe states lemon juice. Which is it? Lime or lemon juice? Thanks. Love love your recipes. This is so simple and delicious!! !